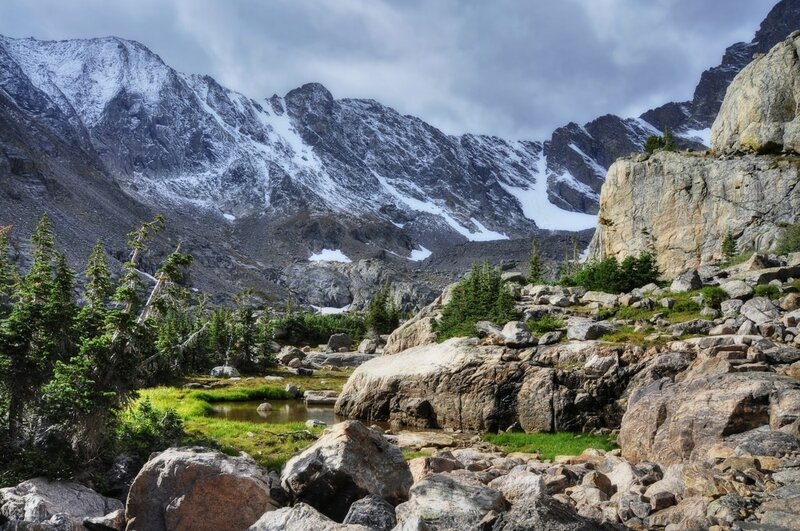 These spectacular lakes are situated above the timberline falls in Rocky Mountain National Park. 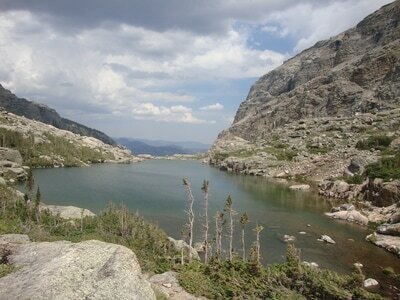 The higher of the two is Sky Pond which you will understand how it gets its name once there. The hike begins at the Glacier Gorge trailhead and takes you past three waterfalls and cascades. 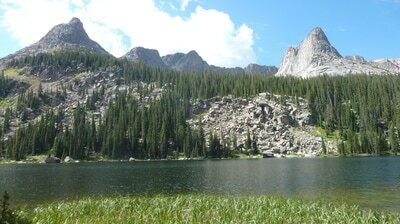 Sky Pond is surrounded by fields of columbines and other wildflowers. 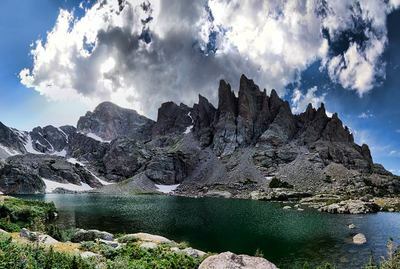 This high mountain cirque is surrounded by the Taylor Glacier, Taylor Peak, Cathedral spires including the Sharks tooth.